So-called Nitrifying bacteria or pond bacteria are bacteria which turn waste substances in your pond into CO2 or carbon dioxide. This is important for oxygen producing plants, because they need CO2 to grow. So, these nitrifying pond bacteria are playing an important part as to the biological equilibrium in your pond. In general by biological equilibrium is understood a more or less natural balance between the supply of organic material in your pond and its decomposition by micro-organisms, including nitrifying bacteria and the final absorption of residual products (nutrients) by water plants. An upset to the population of micro-organisms may have a certain number of causes. A too big supply of organic material in your pond, for example owing to falling leaves, withered parts of plants, dead fish, etc. The quantity of nutrients that are released as a result of this is so large, that the pond bacteria present can not turn it all into CO2. A culture medium for algae will form. Upsets can also be caused by a stagnating decomposition of bacteria, for example owing to lack of oxygen, rigorous refreshment of water of the use of medicine. Furthermore upset may occur if too many plants have been removed from your pond. By whatever reason an upset is caused, the result will always be undesired. Sometimes the environment will acidify, with the result that fish and plants can no longer live in it. However, nature will often take action in a correcting way and an explosion of algal growth will occur. However, this is undesired for a pond too. Although fish are not bothered by algal growth, especially the growth of underwater plants will be seriously checked. 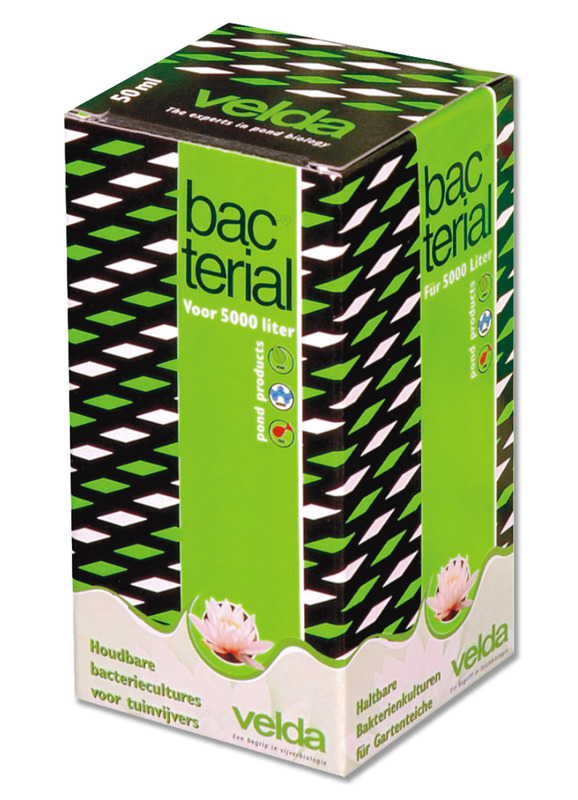 When upset of the population of micro-organisms occurs, means are available which can repair the equilibrium quickly. This type of means will stimulate plant growth and has a reducing effect on algal growth. At top of that it provides a clear and healthy pond environment. If we proceed with a certain understanding, sufficient exercise some patience and regularly perform maintenance, the biological equilibrium in your pond can remain intact without great effort for years on end.